Despite winning four trophies, there was a general feeling of ennui around Barcelona. Certain players were felt to have gotten a bit too comfortable by recent successes, Pep Guardiola tried - with mixed success - to integrate new signings, Cesc Fabregas & Alexis Sanchez into the team. The next evolution for what some had declared the greatest side the game had ever seen hit a roadblock. Run down by a formidable Real Madrid, Barca failed to win La Liga for the first time in three seasons. They also found themselves in a supporting role to Chelsea's extraordinary Champions League story. The pressure of not only managing the team, but being the standard bearer for a whole region finally became too much for Guardiola. He later confessed to running out of steam by November, and has taken a year out from football. He did steer the Catalans to the Spanish SuperCoppa, UEFA Super Cup, Club World Cup, and Copa Del Rey, but that's not enough for a club like the blaugrana. Barca have to be seen to win either the Spanish title or the Champions League. Real Madrid managed it, Barcelona didn't, and the balance of power in Spain may have shifted as a a result. While in Italy, the unexpected story of the season was the metempsychosis of Juventus. As already seen on this website, The Old Lady triumphed against the odds to win its 28th Scudetto (or 30th, depending on your sense of bias). One of the things made this an underdog success is that the title win came without the aid of a top-class centre-forward. With Internazionale continuing their post-Jose Mourinho malaise, AC Milan have had the run of things in Serie A. But despite a bountiful transfer outlay, and enough strikers to give centre-halves nightmares, the individualistic Rossoneri fell short against the honourable team-ethic of the side from Turin. Juventus may have used Borussia Dortmund as a template, as the Germans are the measuring stick for clubs wanting to get the better of their wealthier counterparts. All things being equal, the Bundesliga should be the personal fiefdom of Bayern Munich; they have star names, high wages, a lavish home stadium, and a solid financial policy which makes them arguably the best placed club for UEFA's imminent Financial Fair Play regulations. However, Borussia (in a shock outcome) won the German league last season. Many felt that Bayern had underestimated BVB, and would reassert their supremacy this time around. But despite losing Nuri Sahin to Real Madrid and Lucas Barrios to injury, Jurgen Klopp's team went out and won the league again. Not only that, but it was achieved with absolute dominance, beating Bayern both home & away, before hammering FC Hollywood in the German Cup Final to bring Dortmund their first ever league & cup double. They did it playing with the same high-energy & entertaining verve that characterised their league championship from 2010/11, and with only a fraction of the money spent by the aristocrats of Munich. But the most astonishing tale in the story of the tables being turned on the established, was in France's Ligue 1. The favourites at the start of the season were the nouveau riche Paris St Germain. Backed by the largesse of Qatari money, PSG are one of the world's richest clubs, and were not shy in using those riches, spending 108 million Euros to bolster their squad. Any challenge was expected to come from the then-reigning champions, Lille, or the entrenched forces of Olympique Marseille and Olympique Lyonnais. 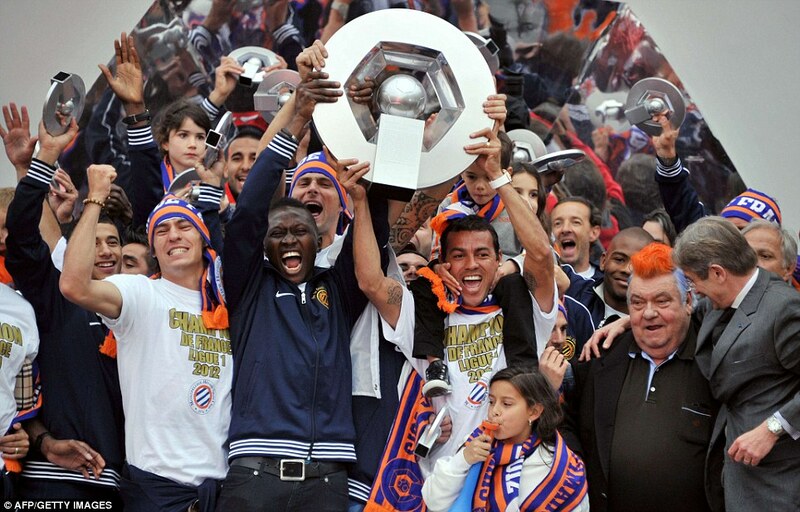 None could have expected that the season would end with little Montpellier as its champions. A region of France better known for its rugby-union team, it was their footballers, led by Rene Girard who shocked Le Championnat. A team constructed on a relative shoestring, these footballing hoi-polloi found a way to surpass all its more decorated rivals. Inspired by Olivier Giroud & Younes Belhanda - players who are now highly sought after - they were the model of a hard-working crop of players who gave everything for the shirt. Portsmouth fans will remember John Utaka, who ultimately scored twice on the season's last day to secure Montpellier's first ever league title. MHSC's triumph was a microcosm of the game throughout Europe. Even with the high amount of money spent, it would be remiss to omit Real Madrid superseding Barcelona and Manchester City finally putting Manchester United in the shade. And on a less auspicious note, low-spending clubs like Newcastle, Udinese and Rubin Kazan also deserve honourable mentions for competing for - and in Udinese's case, succeeding - in qualifying for the footballing Elysium of next season's Champions League. Rubin deserve particular credit given that they have to compete against the latest in the sport's nouveau riche outfits; the near unpronounceable outlier Anzhi Makhachkala. While it'd be nice to proclaim 2011/12 as a liminal season in football, it's likely to end up as more of an anomaly. This was the season when the unfashionable paupers supplanted the regal princes. Anyone who's seen the John Landis film, Trading Places will recognise which teams played the Eddie Murphy role and which ones had to endure as the Dan Aykroyd.